Last July, in the magnificent location of the Museum Villa Bardini in Florence, (www.bardinipeyron.it) chosen for its stately location and its extremely beautiful and monumental park, the first Rossi 1931 advertising spot was filmed. We are thrilled to announce its launch soon in 2016. The entire production was coordinated by Maestro Luca Palatresi….. Three days of filming among the gardens and statues, employing beautiful models and actors, including a staff of over 15 professionals. Preservation and enhancement of historic gardens is one of the priority objectives of The Foundation. Only a few hundred meters from the back gate of the Boboli Gardens, formal renaissance gardens rise up from the Arno River to lead you to an amazing view over Florence. 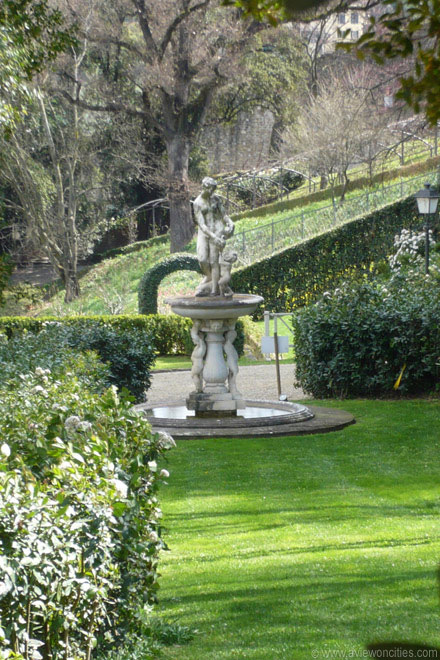 This wonderful, quite peaceful garden located along the left side of the Arno River, the hill of Montecuccoli and its ancient medieval wall has, at the top, a small treasure of a museum in the Bardini Villa. 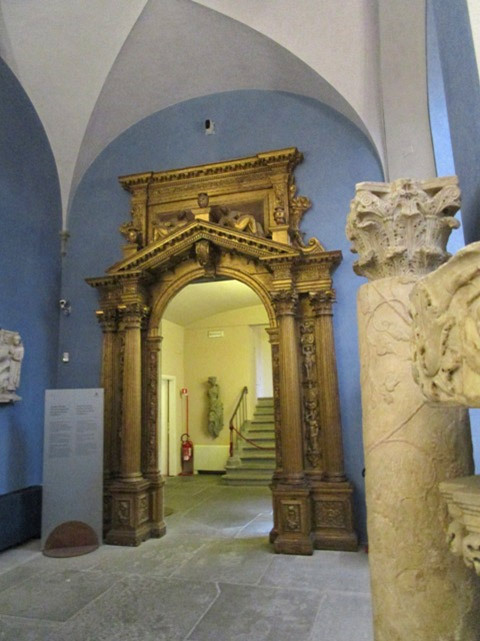 The museum is named after its creator, Stefano Bardini, the most famous art dealer of the 19th century, who transformed his collection into a museum and upon his death in 1922 donated it to the Municipality of Florence. The collection not only includes sculptures and paintings from the Middle Ages and Renaissance period, but, furniture pieces, ceramic pieces, tapestries and fragments of the old center of Florence, salvaged before its destruction. 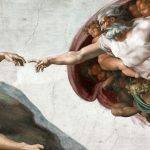 Stefano Bardini trained as a painter, became famous as a restorer and put together a collection of artwork with the love and passion for the Renaissance. Thanks to him, the appreciation for Renaissance architectural decorations, for stucco sculptures and terracotta sculptures was rediscovered. Reopened in 2005, after long and accurate restorations, the building alone is remarkable for its use of doors, windows and moldings of old fragments originally belonging to ruined churches and villas. The ceilings are magnificent examples of Venetian and Tuscan woodwork ranging from the 15th to the 17th centuries. In addition, the villa also houses the offices of the Foundation Monumental Parks Bardini and Peyron and the Tuscan Horticultural Society. 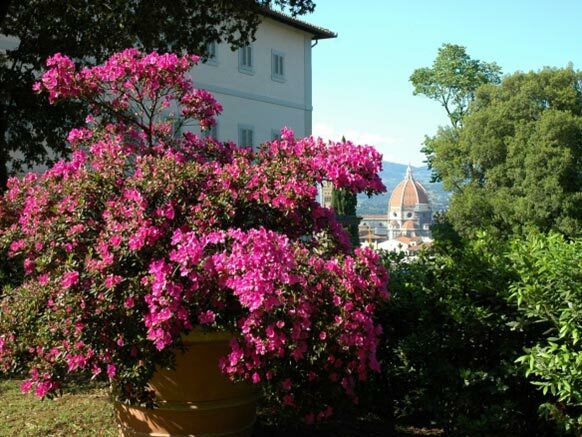 The Bardini Gardens offer wonderful views of Florence from its 4 acres of parkland. After 5 years of restoration, the gardens are filled with grottoes, hidden statues, and several rare species of flowering plants. 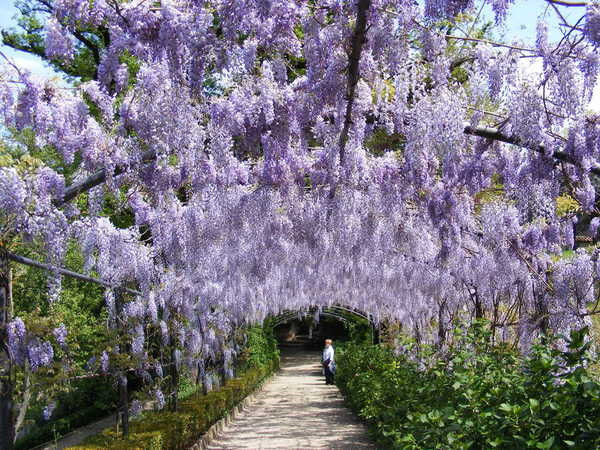 The history of the garden goes back to the late 16th century when the Mozzi family acquired an estate just outside the city walls of Florence on the left bank of the Arno River. It consisted of a palazzo with a walled garden and a steep, terraced slope. In the 18th century Giulio Mozzi created a Baroque staircase on the slope adorned with sandstone statues. 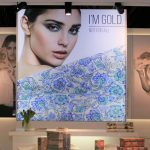 He also added a long fountain wall, decorated with mosaics. In 1839 the garden expanded with the addition of the estate of the villa Manadora (now the Villa Bardini), which contained woodlands with an English-Chinese garden, a waterfall, a pond and a fountain. In 1913 the domain was acquired by Stefano Bardini. He made some drastic changes and built a road to the villa, thereby demolishing the medieval walled garden. After the death of Bardini’s son in 1965, the garden was neglected and it would take until 2000 before the Fondazione Parchi Monumentali Bardini Peyron (created to restore the estates of Bardini and Peyron) acquired the Bardini garden and started a project to bring the garden back to its former splendor. Finally, in 2005, the Bardini garden opened to the public. The 3rd park of this foundation is the Peyron garden. Villa Peyron al Bosco di Fontelucente of the Bardini and Peyron Monumental Parks Foundation is one of the most beautiful villas of the Fiesole hill. 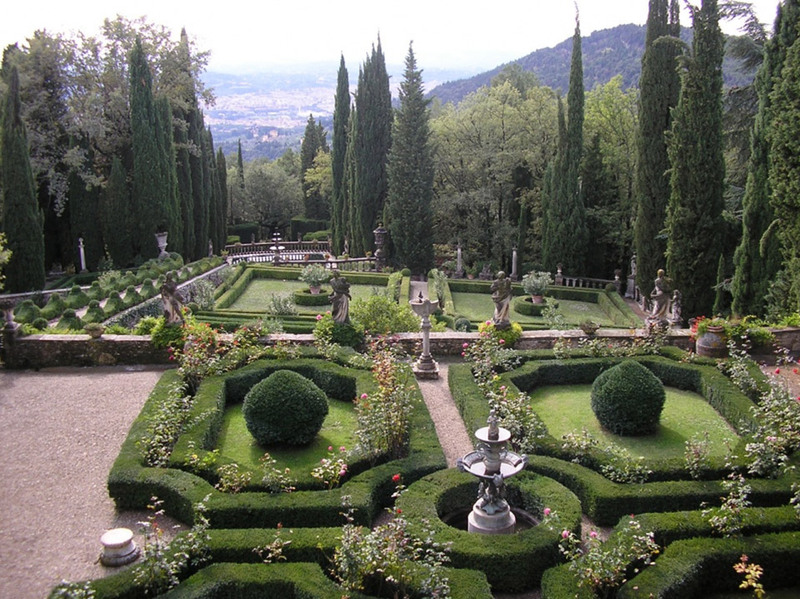 The Villa Peyron Garden is a composition of villa, garden, park, woods and olive groves with a wide view of Florence to the south and Castel di Poggio to the east. The garden has parterres and five terraces framed by woodland and descending the hillside. It was made by Angelo Peyron, after 1914, and his son Paolo Peyron. Villa Peyron is one of the best maintained villas and gardens near Florence and offers a beautiful and breathtaking view of the city. It has been generously donated to the Monumental Bardini Parks Foundation and Peyron by Paul Peyron its owner. Villa Peyron is a beautiful villa built on Etruscan ruins of which you can still see traces today amidst the Forests of Fontelucente. It is situated in Fiesole, and emerges from the lush forest with three beautiful terraces and many glorious fountains of which a one dates back to the sixth century. Many expensive and valuable statues dot the park and add that renaissance touch to the garden. It epitomizes the style of a neo renaissance garden.